If you¡¯re caring for a family member or friend who is facing the challenges of age, disability, illness or injury, caregiverexchange.ca can connect you with a wide range of information, services and supports. The site is also home to a caregiver blog, designed to spark a province-wide conversation about the challenges of caregiving. A resource to help students with mental health or addiction challenges find the information and support they need to thrive at school, remain in school, or successfully transition back to school. A Concussion is a traumatic brain injury caused by either a birect blow and/or jolt to the head, face, neck or elsewhere on the body. After a concussion some people lose consciousness or are "knocked out". You can also have a concussion without being knocked out. You may have no memory of what happened even though others say you were talking and interacting. You could also have a concussion if you felt confused, but you remember what happened. If you, or someone you care about, has had a stroke, you probably want to know where you can get more information and help. Learn more about the many services available to help people who have survived a stroke, their family members and their caregivers. 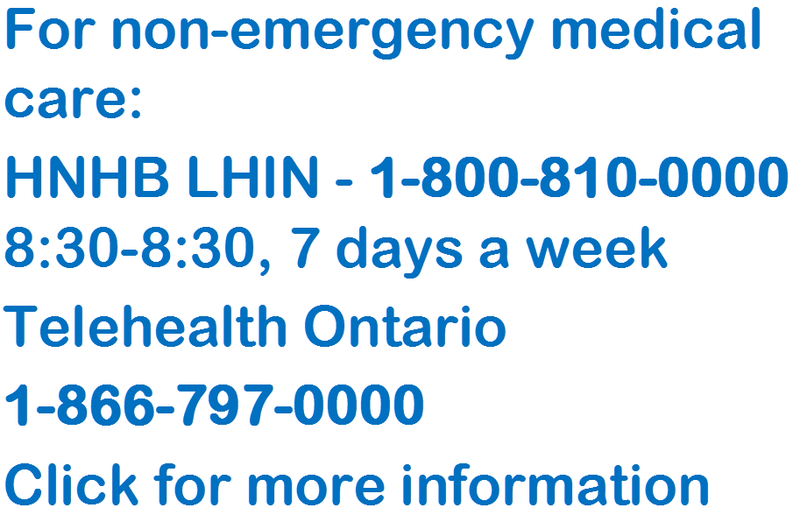 If you or a loved one are not feeling well and need medical care, here are some recourse available near you. The Behavioural Supports Ontario mini-site provides information about behavioural changes, BSO-related health services and programs, and regional events and resources for patients, caregivers, and health service providers.